Have you been diagnosed with hypertension or high blood pressure? Has your doctor told you that you will have to take medication for the rest of your life? A new Harvard study shows that high blood pressure is a contributory factor for more than 15 percent of the deaths in the U.S.
‘Make your own kratom capsules‘ at home as they have been known to lower blood pressure. 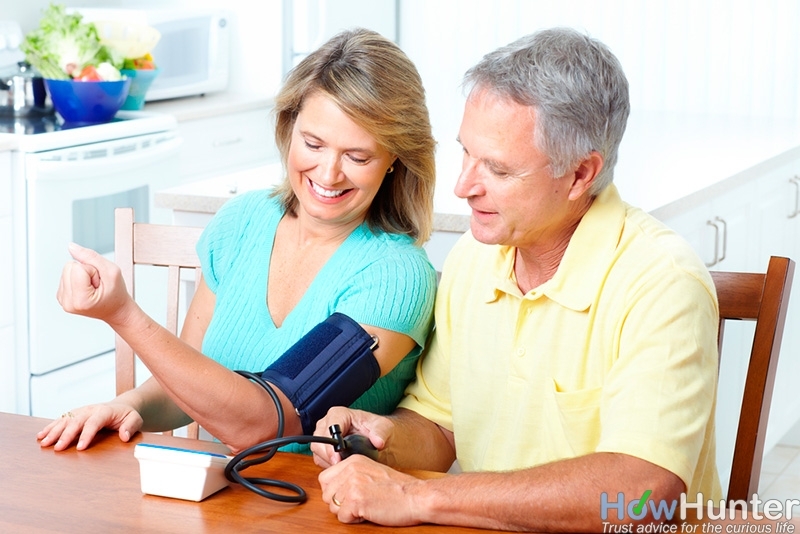 Lifestyle plays a key role in treating high blood pressure. You need to optimize your dietary intake, exercise, and effectively manage stress, in order to turn the odds of lowering blood pressure in your favor. The aim of this post is to provide you with 10 tips on how to lower high blood pressure naturally. Body weight and blood pressure go hand in hand. Blood pressure increases with increase in weight. Therefore, get to your ideal body weight. In addition, watch your waistline. Buildup of fat around the waistline increases the risk of high blood pressure. Men having a waist measurement that is 40 inches or more (36 inches or more for Asian men) and women having waistline size of 35 inches or more (32 inches or more for Asian women) are at risk of experiencing elevated blood pressure levels. Regular physical activity for about 30 to 60 minutes on a daily basis helps to reduce your blood pressure by as much as 4 to 9 millimeters mm of Hg. If you are pre-hypertensive (systolic pressure 120 to 139 mm Hg or diastolic pressure 80 to 89 mm Hg), exercise can be of great help in preventing the development of full-blown hypertension. Use physical activity as a drug. An exercise regimen that is comprehensive provides long-term benefits to people who have high blood pressure levels. The program should include burst-type or anaerobic sprint exercises for at least 1 to 3 times a week. During weight training, the blood flow to the muscles increases and this improves your insulin sensitivity. High grain, low fat regimen is a prescription for high blood pressure. Research published in the Diabetes Journal as early as 1998 showed that blood pressure levels were higher in people who were insulin resistant. High grain, high sugar diet, coupled with lack of exercise, is sure to cause insulin resistance. As your blood insulin level increases, your blood pressure will also increase. Changing over to a diet that consists more of fruits and vegetables and less of grains and saturated fat (junk food) helps you to lower your blood pressure levels by as much as 14 mm Hg. Higher intake of potassium helps you to reduce the effect of sodium on blood pressure. Bananas are a good source of potassium. Reduce your sodium intake through diet by cutting down on the use of salt. Even a small decrease in the consumption of sodium helps to reduce your blood pressure levels by as much as 2 to 8 mm of mercury. Limit your sodium consumption to 2300 milligrams per day or less. If you are 50 years or older, limit your sodium consumption to 1500 milligrams per day. Some tips for reducing sodium intake include choosing low-sodium alternatives, eating less of processed foods, etc. As far as your health is concerned, consumption of alcohol is good as well as bad. It helps to lower blood pressure (by about 2 to 4 mm Hg), if consumed in small amounts. However, you will lose the protective effect provided by alcohol, if you drink a little too much. The limit prescribed for experiencing the beneficial effect of alcohol is one drink per day for men 65 years and above and women and two drinks per day for men up to 65 years. A word of caution: If you normally don’t drink alcohol, then you should not start consuming it to reduce your blood pressure levels! You need to consume both omega-6 and omega-3 fats in order to enjoy good health. However, you need to maintain the omega-6 to omega-3 ratio in your body to enjoy any beneficial effect. The fast food culture has contributed a great deal in upsetting this ratio. Consumption of omega-6 fats is very high and intake of omega-3 fats is far too less. Experts are of the opinion that maintaining the omega 6 to omega-3 ratio in the range of 1:1 to 5:1 helps to lower blood pressure and reduce blood levels of triglycerides, among others. If you have insulin resistance, omega-3 fats help to re-sensitize the insulin receptors. A reduction in insulin resistance leads to a decrease in blood pressure level. Omega-6 fats are obtained from corn, canola, soy, safflower and sunflower oils. Omega-3 fats are obtained from fish, flaxseed oil and walnut oil. Fish is the best source. There is enough evidence to show that coffee as well as caffeinated drinks can ex­acerbate your condition if you are hypertensive. A study carried out by Duke University’s Medical Center showed that consumption of 500 mg of caffeine (three 8-ounce cups of coffee) raised blood pressure by as much as 4 mm Hg and that the effect lasted till bedtime. Caffeine raises blood pressure by constricting blood vessels and magnifying the effect caused by stress. When you are stressed out, your heart pumps more blood to raise the blood pressure. Caffeine exaggerates this effect. A review of twelve studies showed that coenzyme Q10, also known as coq10, helped to reduce blood pressure by as much as 17 mm Hg. The powerful antioxidant, essential for energy production, works by dilating blood vessels. Exposure to sunlight in appropriate amounts is essential for maintaining good health. Sunlight enables your body to produce vitamin D. A reduction in vitamin D stores due to lack of exposure to sunlight increases the production of parathyroid hormones in your body. This, in turn, increases your blood pressure. Further, insulin resistance and Syndrome X have been linked to vitamin D deficiency. Insulin resistance elevates blood pressure. Sunny days are happy days as they boost our mood. This is because your brain releases endorphins, feel good hormones, when exposed to ultraviolet rays. Endorphins relieve stress, which in turn lowers your blood pressure. In addition, a study published in Investigative Dermatology Journal shows that exposure to sunlight alters nitric oxide levels in the blood and reduces the blood pressure. It has been observed that stress/anxiety can cause an increase in blood pressure, at least temporarily. Take some time off to think as to how you can reduce stress on various fronts such as work, family, illness or finances. If it not possible to eliminate all of the stressors, learn at least to cope with them. Do deep-breathing exercises, take up yoga or meditation classes, go for a massage or seek professional help. As much as possible maintain your ideal body weight. If you are fat or overweight, shed some pounds. Follow a 30 to 60 minutes exercise regimen. Include aerobic exercises and weight training. Eat healthy. Eat a lot of fruits and vegetables. Consume good fats. Take omega-3 and coenzyme Q10 supplements. Right amount of exposure to sun light. Reduce stress through deep-breathing exercises, yoga, meditation, etc. Consult a doctor before embarking on a program to lower blood pressure. Consumption of high grain, high sugar food. Watching TV instead of exercising. Going for a low fat diet. Excessive consumption of processed food. Self-medication to lower blood pressure.